Oh NO!! 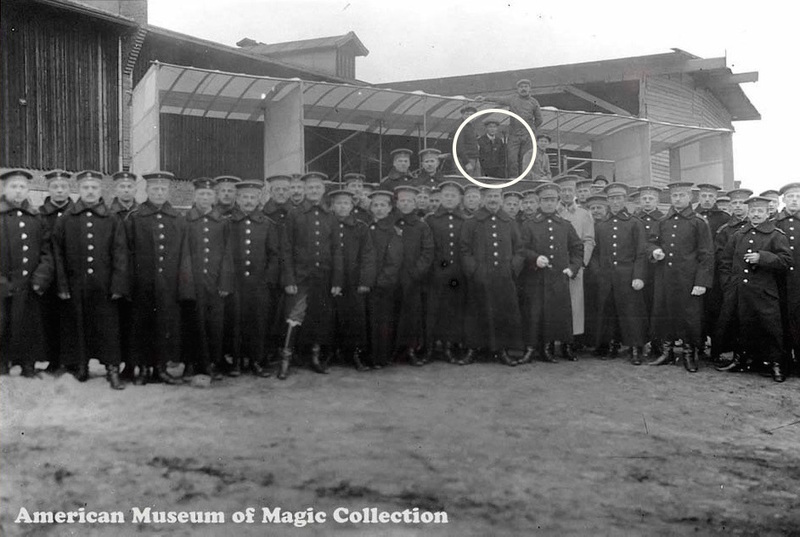 Houdini trained The Red Baron!!!!!!!!!! Hey, John, Thomas Churchwell tell me he saw this photo in your collection. It wasn't among your slides. Do you have the original? Pretty cool if you do. Makes sense this one stayed in the family. Is he in that picture? Couldn't find him. The Voisin is in the back behind the German soldiers. Isn't that Harry in the center of the plane wearing a black coat and cap? Oh, yes, that's Houdini in the back in the black coat and hat. Sorry, I should have pointed that out. He jumped right out at me, but I realize it's not all that clear. Click here if you can't find Harry. We still don't want to see it, sorry. Evidently, HH is still getting his wish! You still can't see him in that photo. Maybe that's why this particular picture escaped detection. Harry would say it was a double exposure to put his image back there. You guys are really having trouble seeing him? He's obvious to me, especially since he's in the pilot's seat (or at least standing in the pilot's seat). BTW, seeing what he's wearing here helps me identify another uncommon pic as being Germany -- but no soldiers in that one. Wouldn't that be wild? Be he didn't join the service until 1911. Yes, he does look like the Red Baron. We don't normally see HH way in the back in photographs, unless it's a family gathering. He's usually out in front getting most of the attention. It's what makes this photo look strange to me.